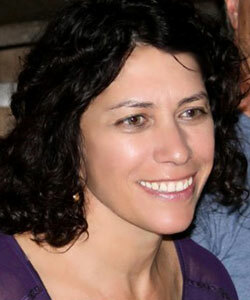 Dr. Janet Galipo is a world renowned international BodyTalk System instructor and acupuncturist. Born in Ohio of Sicilian-American parents, Janet attended Boston University where she received a B.A. in Anthropology and a Master Degree in Counseling. Prior to becoming a Holistic Physician, she worked as a historic preservation specialist, affordable housing developer, speed reading instructor, and social worker. She worked in the Suffolk County Prison system in Boston for five years. Since 1993, Janet has been running a busy practice that includes acupuncture, homeopathy, Chinese and western herbs and other holistic therapies. In 2000, she learned the Bodytalk System and is now one of its Advanced Senior international instructors. She has since transitioned her practice to be focused on BodyTalk since it is the most innovative and paradigm shifting modality she has worked with. In 2003, she was part of a team that created Be Healthy, a non-profit organization that has developed and supported worldwide programs in BodyTalk and holistic medicine in the U.S., Brazil, the Philippines, Mexico, Peru and Nepal. Be Healthy continues with its strong commitment to provide holistic medical solutions to the world’s disadvantaged. Last year, Janet opened the first BodyTalk and holistic health clinic in Miami – 2 Be Healthy. It was the culmination of a lifelong dream, to be able to offer affordable medical services to anyone in the community on a walk-in basis. In the first 11 months, 2 Be Healthy has received over 1,000 new clients and momentum continues to build. In the last 2 years, Janet has focused on developing a holistic health curriculum for working therapists. It is based on a “Barefoot Doctors” program model and teaches acu-points, herbal medicine and other health information relevant to today. Along with her colleague, Dr. Nancy Werner, she developed the course: San Baio: Three Treasures, an acu-point training available worldwide to anyone who wishes they had attended acupuncture school! Publications include the Bodytalk Pain study, co-authored with Dr. Laura Stuve, San Baio: the Three Treasures, co-authored with Dr. Nancy Werner, the Five Elements 50 conditions series and numerous other articles on holistic health and Chinese medicine. When not teaching internationally, Janet can be found in the 2 Be Healthy clinic in Miami where she loves introducing new clients to Bodytalk and holistic services, one person at a time.